There's no easy way to summarize the main story of Batman #35 so I'll just come right out and say it. 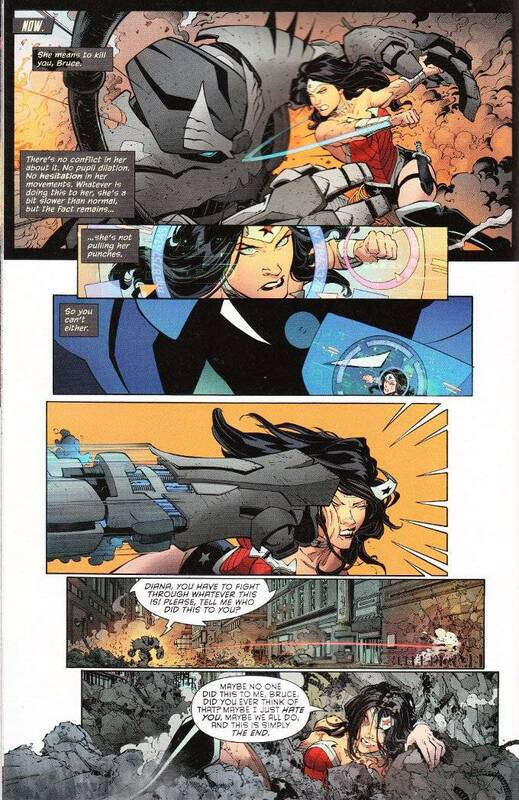 It's one year in the future, sometime after the events of Batman Eternal, and Batman fights most of the Justice League. If you just said "Oh, awesome!" then that's all you really need to know regarding whether or not you'll like this book. It is as awesome as it sounds. If, perhaps, you are somewhat cynical about the quality level of yet another story where Batman effortlessly takes down superheroes with more powers and just as much experience as him, know this. He doesn't exactly take them down easily and the methods employed by Batman as designed by Scott Snyder are well and truly unique. No Kryptonite rings or vibrating bullets this time! If nothing else, this issue is worth picking up to see the ever astonishing Greg Capullo and Danny Miki give us their visual spin on The Justice League. But if superheroic slug-fests are not your cup of tea, you may find the back-up story more to your liking. 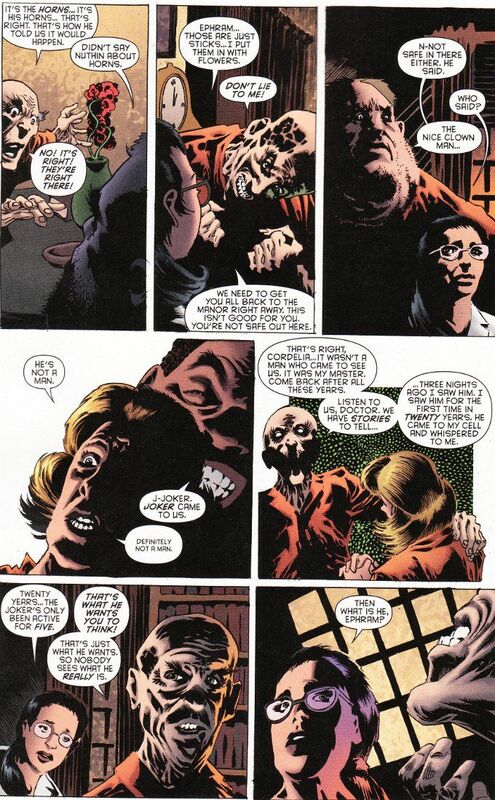 Written by James Tynion IV, it concerns five Arkham inmates telling stories about The Joker. The tone is a bit closer to the Batman comics of the 1990s than more recent fare and it seems a bit more appropriate for a Vertigo title as a result. It seems fitting then that this story should be illustrated by the indescribable Kelley Jones, who did a fair bit of work on both Batman and Sandman back in the day. Jones' horrific style is a perfect match for Tynion's tale and this issue is well worth picking up for this story alone.